Those of you who've heard me talk about SSF1 before know I have a bit of a soft spot for those two controversial additions to the SSF1 roster, Blade and Blue. Edgy as all frack from their swords to the lightning and fire powers they were going to have in SSF2 before their removal to the clichéd starring role they were at one early point going to have in SSF2's abandoned story mode, the Flash of Shadows, they're just so over-the-top and representative of the mid-turn-of-the-millennium internet that I can't help but love them. They aren't Cleod's, though. They belonged to a friend of his that he dropped contact with some time ago. He went by several names: Topcat. Kingdom Castle Animations. Blade the Hedgehog. 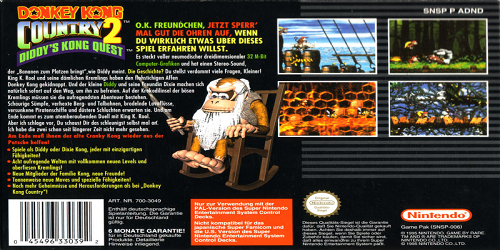 Credited in the game itself as "Equinox_Twilight". But, he seems to have disappeared several years ago. I've been doing a little searching around, and from what I've seen as of this writing, his last known activity was in 2009, posting an "I'm still alive"-type update status on his sprite comic "Mission Complete" and favoriting a couple things on Newgrounds. Both Mission Complete and the Kingdom Castle Animations website stopped updating in 2007. So far I haven't found word by him on other sites. Cleod, if you see this by any chance and remember by any chance why and how you two fell out of touch so long ago, would you mind telling us? Thanks. Currently Playing: Nintendo 3DS and Wii U games. As far as I was concerned, topcat13 and Equinox-Twilight were two different people. 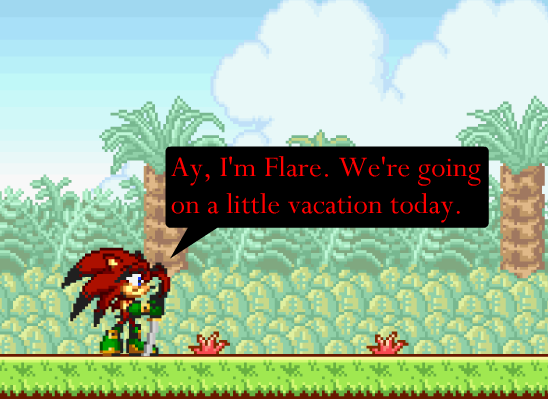 ET created the fan character Flare the Hedgehog and from this character tp13 derived Blade and Blue. Didn't touch and update this sign since January 2016! ...No wonder Blade and Blue were gonna get redesigns for SSF2. Just wow. Still wondering what happened to Topcat, though. I'm going to have to do some more searching and asking around. It looks like he just dropped off the face of the earth, even to Cleod. But it does look like he did give some warning by saying his goodbyes, though I'm not too sure what that means. So whatever reason he vanished, it was on purpose. Stupid. Stupid. STUPID. STUPID. STUPID. I was typing one of his usernames wrong. He listed himself as Bladetehhedgehog. Not Bladethehedgehog. I've been searching for a typo this whole time. With this correction, I'm relieved to confirm that he's most likely alive and well. He last visited his old DeviantART page sometime in May 2017, presumably to take a brief trip down memory lane as it hasn't actually been updated in a decade. And I know without a doubt it's actually his account, because Blade's SSF1 spritesheet as it appears in the game's files is among his submissions. It's curious, I same across that sprite sheet and DA profile not too long ago but it never passed through my mind to post it in here; maybe we could have find out his username was misspelled (intentionally?) in the first place, some months ago. It was on Facebook, though, and I don't think I should reveal his personal information. I'm currently talking to him. That's just sad! Blade was one of my favorite characters in Super Smash Flash. I found all their animations and sprite sheets using Wayback Machine. Also, on the topic of The Flash Of Shadows, do you know anything about the story, Harr?